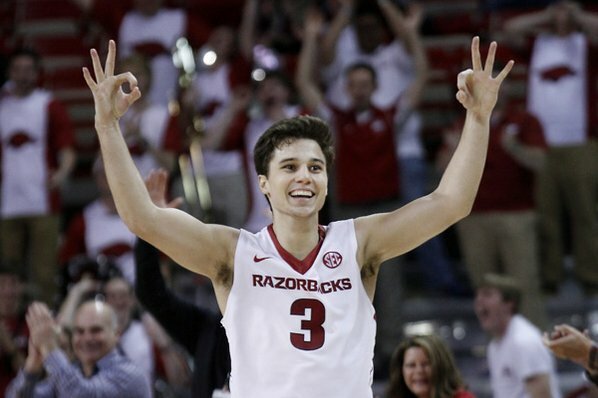 I grew up in Arkansas from age 6 through high school, so I’m a fan of the Arkansas Razorbacks sports teams, especially football and basketball, and I still try to catch their games on TV. 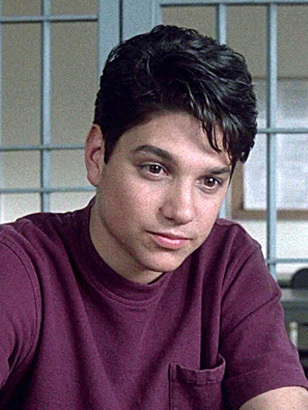 This year the b-ball Hogs (or “Hawgs” as they say in Arkansas) have a junior guard (a transfer from Texas Tech) named Dusty Hannahs, and every time I watch a game, all I can think about is The Karate Kid and My Cousin Vinny because Dusty is a dead ringer for Ralph Macchio. 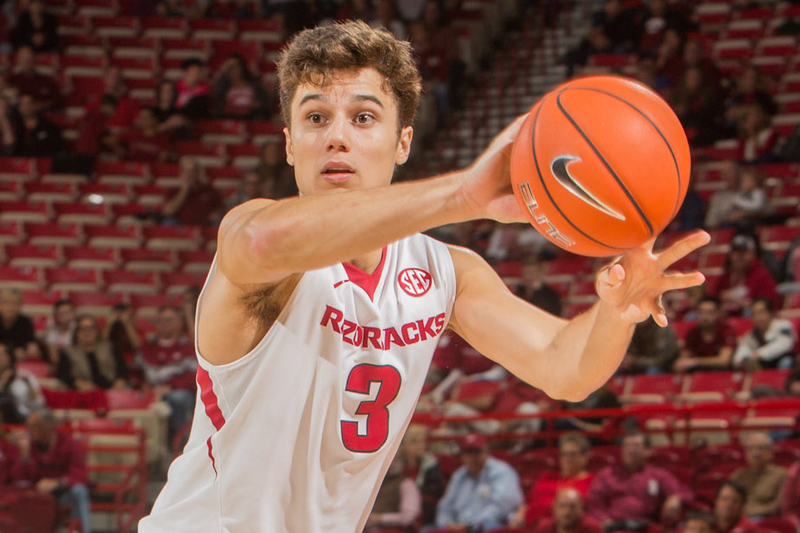 The 3-point shot is Dusty’s “Crane Kick”. If he gets hurt, they will need to summon Mr. Miyagi to the bench to heal him. 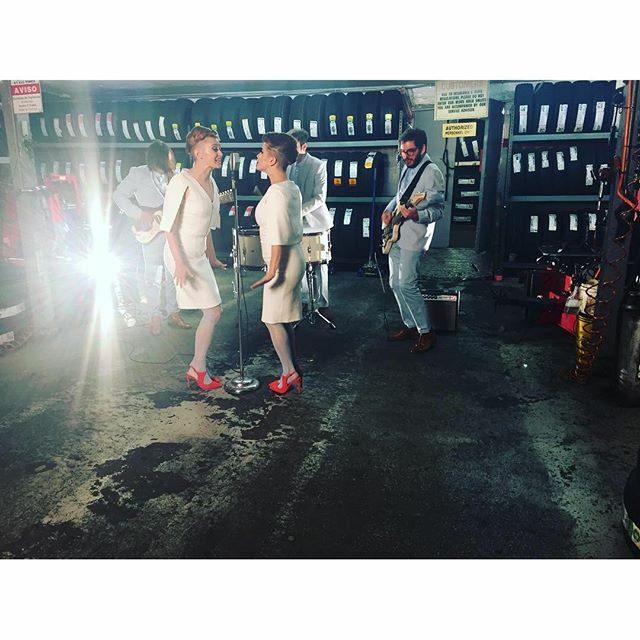 Lucius is back! The ladies with the matching outfits and meshing voices (and their crack backing band) are gearing up to release their sophomore album. Good Grief comes out on March 11th, and I can’t wait. In case the video links above don’t work, here’s the article with the videos. Saw a great acoustic concert at Live at Ludlow Garage this past weekend. It featured Grant-Lee Phillips, whom I’ve long adored, and Steve Poltz, with whom I was only vaguely familiar (had heard his name, knew he co-wrote the song “You Were Meant For Me” that was a big hit for Jewel). The venue was a nice room – it reminded me of McCabe’s Guitar Shop in Santa Monica, CA, which hosts great artists in a similar stripped-down setting. Grant-Lee and Steve started out on stage together, doing “Gentle On My Mind,” then Steve left the stage and Grant-Lee played solo. He even went completely unplugged/un-amplified for a couple of songs. His set was a mix of new stuff and old favorites from his Grant Lee Buffalo days (“Honey Don’t Think” “Truly, Truly” “Mighty Joe Moon“) and his earlier solo albums (“Buried Treasure“). His voice is gorgeous – and I don’t often use that term for a male singer. The new stuff held up very well, “Cry Cry” was particularly moving, it’s a song about the Trail of Tears and the fact that Grant-Lee is part Native American made it especially poignant. “Loaded Gun” and “San Andreas Fault” were also great. For those who only know GLP from his “town troubadour” character, you’ll be glad to know that he will also be back on the “Gilmore Girls” reunion shows. Steve Poltz came back out after intermission and he and Grant-Lee did another Glen Campbell tune, “By the Time I Get to Phoenix” (really a Jimmy Webb tune made famous by Glen). Then Grant-Lee left and Steve did his set. Actually, “set” is the wrong word – to him a “setlist” is merely an abstract concept. He went from the ridiculously silly to the sublime in the course of a single hour and kept the audience smiling the entire time with his hilarious stories. Definitely a performer that I’d like to see again. Grant-Lee came back on at the end of the evening and they wrapped up the show with an extended version of Dylan’s “Forever Young” with some funny, improvised verses. I’m already jonesing for their next trip to town. Remember when the iPod was cutting edge? Yeah, I barely remember those long lost times too… although I can vividly remember Walkmans and even Discmans. Back in those halcyon days of portable digital technology, when silhouettes danced across our TV screens, I was a cheapskate… and still am today. 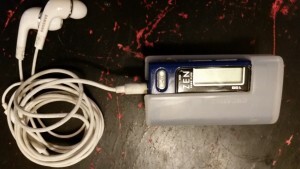 So instead of getting an iPod, I got a Creative Labs Zen Nano. Lo these many years later, when most iPods have been relegated to junk drawers worldwide, my trusty Zen Nano is still going strong. I use it every weekday on my bus commute to and from work. 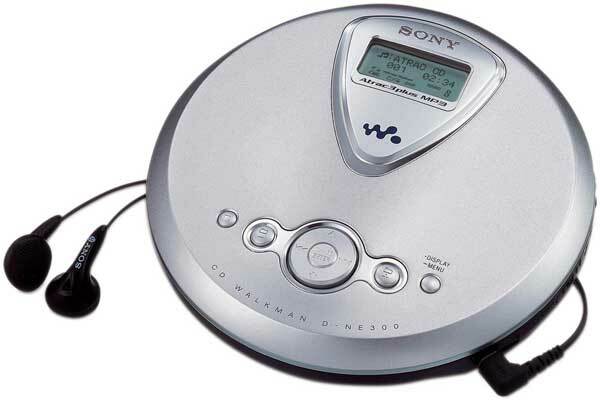 Honestly, I think it had a few advantages over iPods. It runs on a single AAA battery, and I always carry a spare battery, so I don’t have to worry about it dying on me and I don’t have to be near a computer – and have the proprietary Apple USB cord (sold separately, of course) – to recharge it. Adding music to it is a lot easier than using iTunes (Apple is famous for intuitive user experiences but iTunes is horrible, always has been). And in addition to listening to mp3s, I can listen to FM radio (even record it) and record sounds via the built-in microphone. It’s only 1 GB but that’s enough for more than a dozen albums, and it’s a lot more compact than an iPod. It’s slightly larger than the iPod shuffle but those had no display, which was a joke. 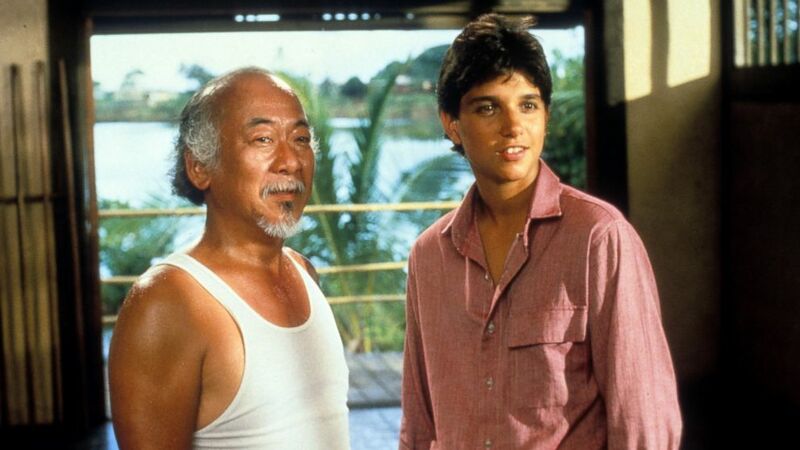 I know I can now listen to music on my phone, but I still prefer my moments of Zen. Up next: why rotary phones are better. Folks are going bonkers over Adele, and I’ll admit she has a powerful voice. But for pure emotional impact, I’ll still take Joan Armatrading. Born in St Kitts in the West Indies on December 9th 1950 and moving to England when she was seven, she took her first musical steps on her mother’s piano. Although her father had a guitar it was strictly out of bounds so when Joan saw one for £3 in a pawn shop window she pestered her mother to barter two old prams they no longer used. She taught herself to play and began writing songs at the age of 14. Her debut album, “Whatever’s For Us”, released on Cube Records in1972 and produced by the late great Gus Dudgeon, was critically acclaimed and saw Joan voted as best newcomer. In 1974, Joan signed to A&M world-wide and the career that has followed has witnessed a plethora of classic and memorable songs – “Love and Affection”, “Down To Zero”, “Drop the Pilot”, “Me Myself I”…..
Why not spend some time with Joan today on YouTube? You won’t regret it. Call me an old fuddy duddy (merely typing that phrase makes me an old fuddy duddy) but I actually miss the early Super Bowls before the greedy tentacles of the NFL and advertisers hijacked the halftime show. For many years, the “entertainment” (using that term very loosely) was Up With People – a group of overly earnest teens singing easy listening versions of the day’s top hits. Sort of like an Osmond Family clone army. Sure they were super cheesy and super lame, but who cares? It’s halftime – time to reload on food and drinks. Now that was quality entertainment! 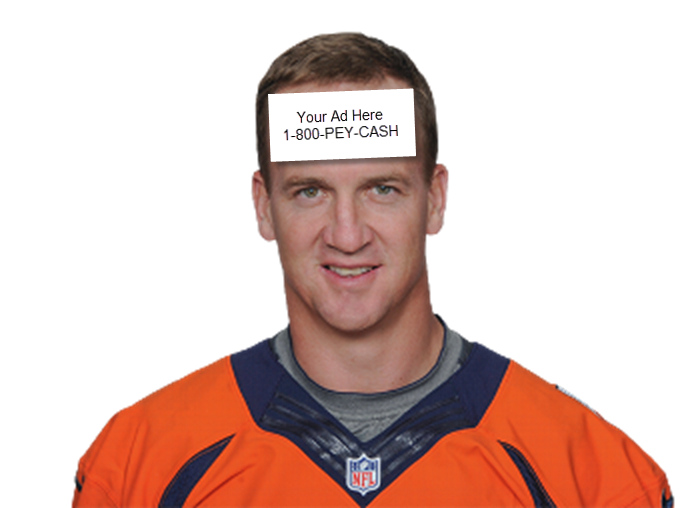 Peyton Manning’s forehead is so large that it should be called a fivehead. But not only is Peyton a great quarterback, he’s also a legendary pitchman, for everyone from Papa John’s Pizza to Nationwide Insurance. Similar to the old adage “when life hands you lemons, make lemonade,” Peyton has realized that when life hands you a fivehead, make some cash off of it. 4th quarter: $7 million – this price is a lot higher because Peyton figures by then his Broncos will be getting crushed by the Panthers and there will be a lot of shots of him on the sidelines with his helmet off, looking forlorn.